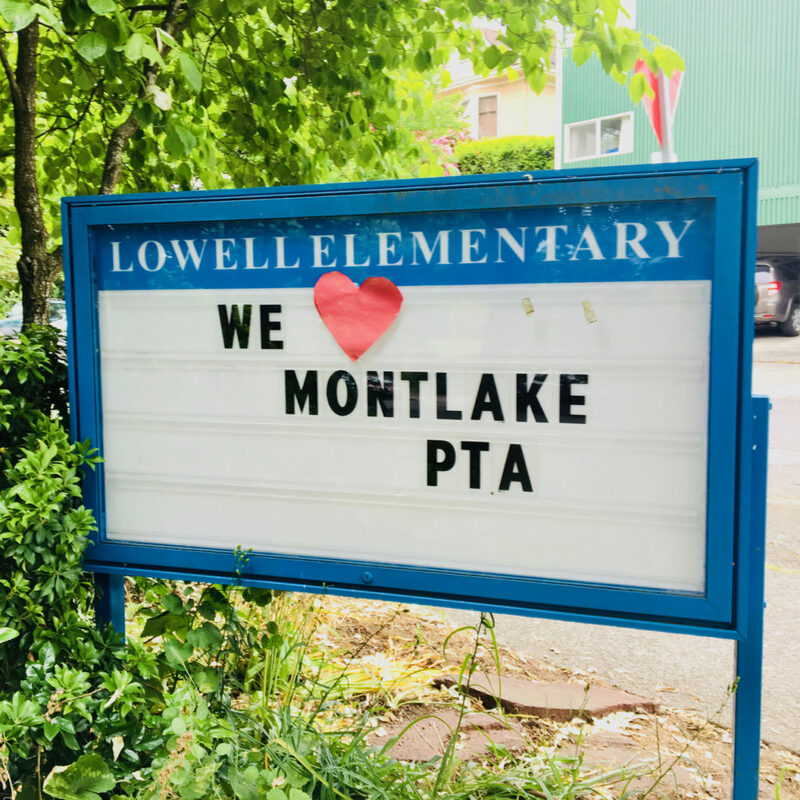 We want to give huge thanks to the Montlake PTA, whose membership recently voted to donate 5% of their projected revenue in 2018–19 ($10,300!) to Lowell Elementary. Montlake is just over the hill from Lowell, and the Montlake PTA wanted to help Lowell as a Title I (high poverty) school within the same Meany Middle School cluster—i.e., many of our kids are and will be classmates together at Meany. With our many challenges and high turnover rate (in addition to 65% of Lowell students qualifying for Free and Reduced Lunch, upwards of 30% are homeless and 40% leave within the school year), Lowell doesn’t have the ability to fund-raise within our school community at the level of Montlake and other schools, so this gift really makes a big difference. Let’s all keep working towards the day that all of our schools are funded adequately—but in the meantime, thank you to the Montlake PTA for showing solidarity and helping us work toward equitable funding!